The estimation of temperature coefficients of reactivity is a very important task because of its relationship to the safety of reactor operation. The temperature coefficient of reactivity includes the Moderator Temperature Coefficient (MTC), Doppler temperature coefficient (DTC) and the isothermal temperature coefficient (ITC). The present work investigated the temperature coefficients of reactivity for the advanced first core of AP1000 PWR. The calculations were carried out using Monte Carlo code MCNPX and the Evaluated Neutron Data File library, ENDF/B-VII.1 (ENDF71x), cross section data. The calculated results have been compared with the same results of KENO and VERA-CS codes. The study was investigated at a boron concentration of 1300 ppm. The MCNPX values of the MTC, DTC, and ITC were observed to be: (-1.27), (-1.48), (-2.75) pcm/F respectively. The results showed the compatibility between the MCNPX and KENO and VERA codes. Also the results demonstrate that the MCNPX code showed good estimates of Temperature Coefficients of Reactivity of AP-1000 PWR. 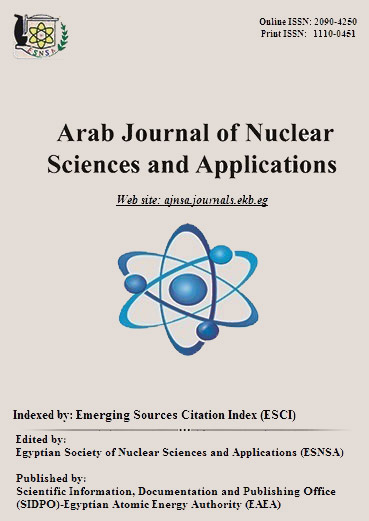 The results can be used as reference for reactor physics studies.